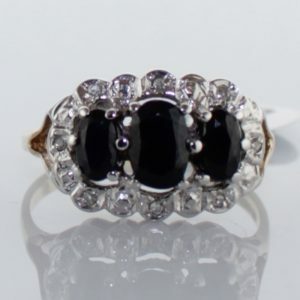 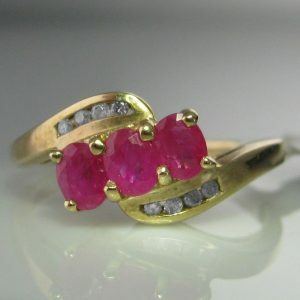 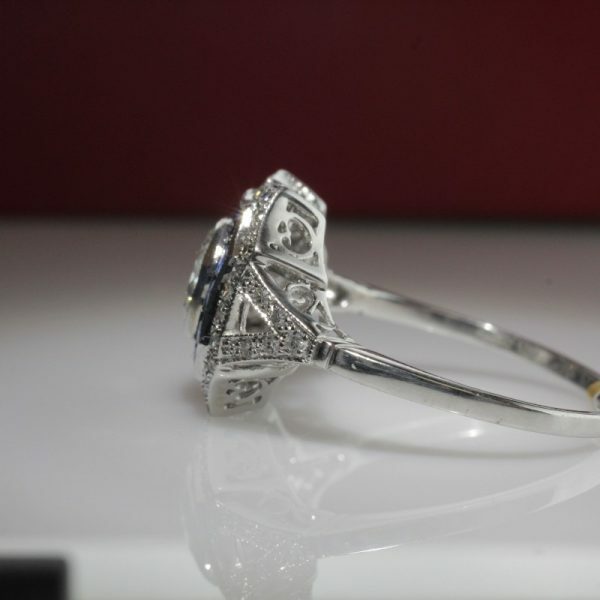 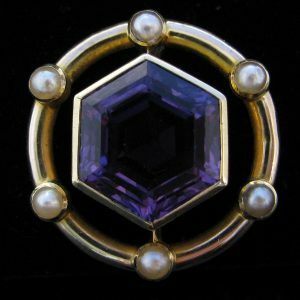 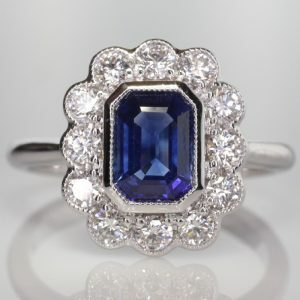 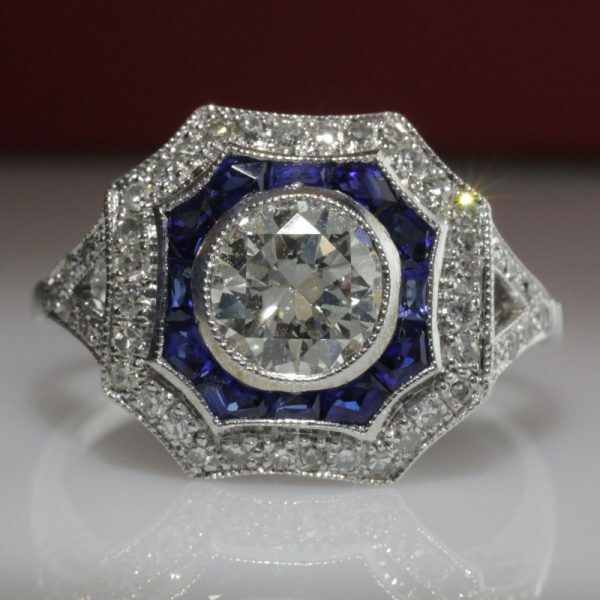 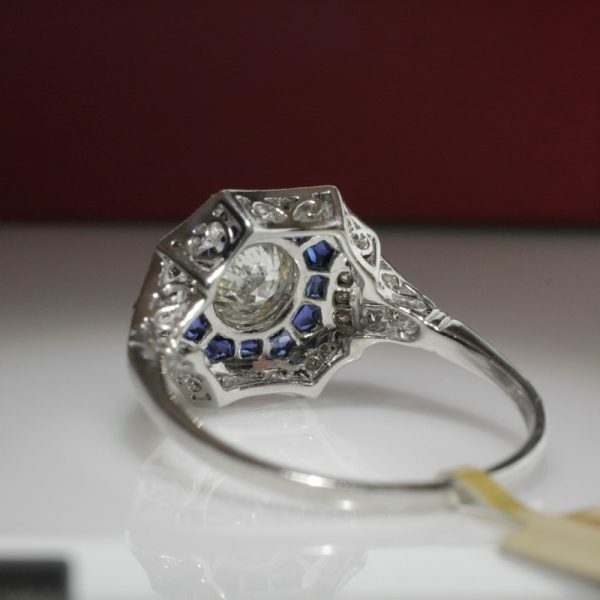 This is a beautiful sapphire and diamond ring in the art deco style. 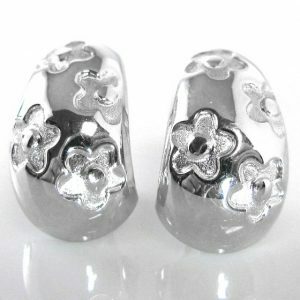 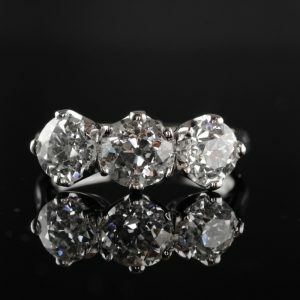 It is made in 18k white gold and features a beautiful round transitional cut diamond of 0.75cts in the centre. 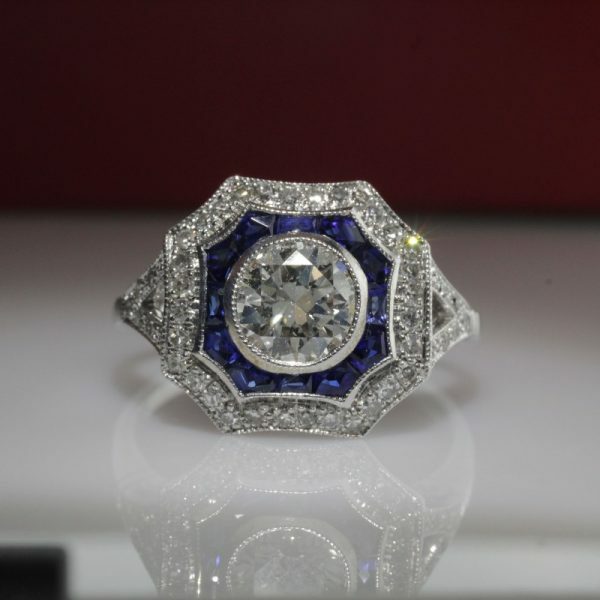 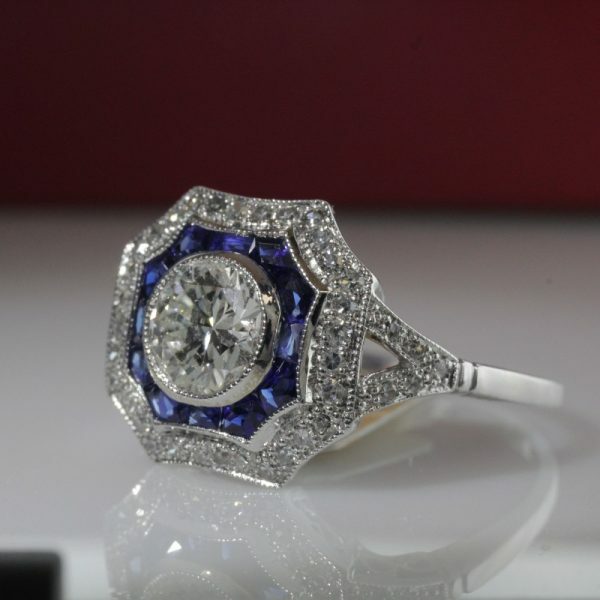 The central diamond is surrounded by a border of royal blue calibre sapphires and an outer surround of pave set diamonds. 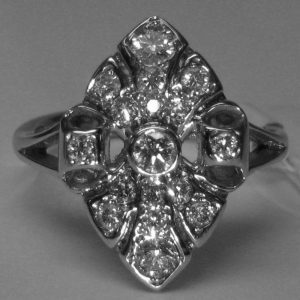 The total carat weight of diamond is over 1.0cts.